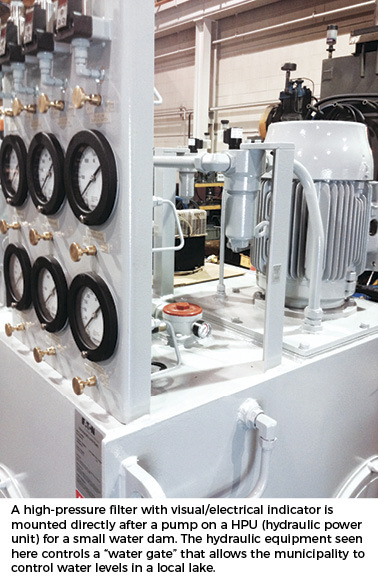 If working with hydraulics is part of your life, you’ve almost certainly been reading “Filtration 101” articles since day one. 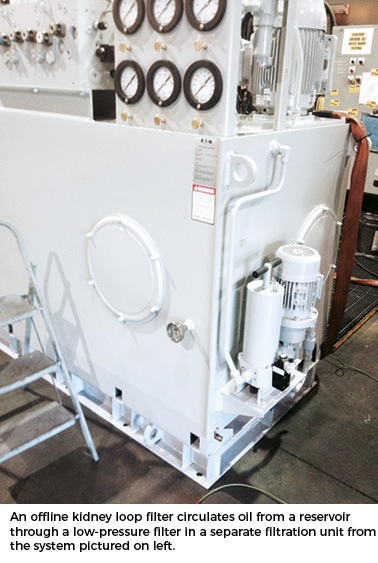 You know, the articles that say “Keep the fluid clean” and “Change the filters regularly” and “Put them here or there”—in short, the common-sense things that any hydraulic professional worth his or her salt already knows and does. There is no denying that those things are important. In fact, they’re so important that I’m going to briefly reiterate them here before moving beyond the basics. Filter the fluid before it goes into the reservoir. It doesn’t come from the supplier clean enough to put in your system. Period. 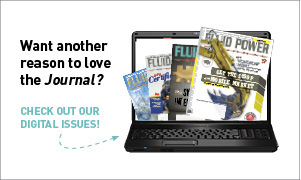 Monitor fluid condition regularly. That means laboratory-grade analysis on a schedule determined by your operating conditions, not some arbitrary timetable. Always flush the system to manufacturer specs or ISO standards every time components are replaced or repairs are performed. Monitor the filters and change them before they go into bypass mode. Here again, that requires a schedule based on your operating conditions, not some arbitrary timetable. Make sure the replacement filter elements meet the original manufacturer’s specifications. “Will fit” and “as good as” promises are not acceptable substitutes for verified laboratory testing and qualification. Don’t forget that breathers are filters, too. Unless your system is installed in a clean room, airborne contamination can be a major issue. In almost all cases, filters should not be located at pump inlets. Cavitation is a much greater threat to your pump than contamination—which should not be in your fluid in the first place. Filters should not be placed on the drain lines of piston pumps and motors. Those lines need to be free flowing or you risk the opposite of cavitation, which is equally destructive. The best place for fine filtration is generally on the return side of your system. If you start with clean fluid, any contamination will be generated within the system and caught by a return line filter. 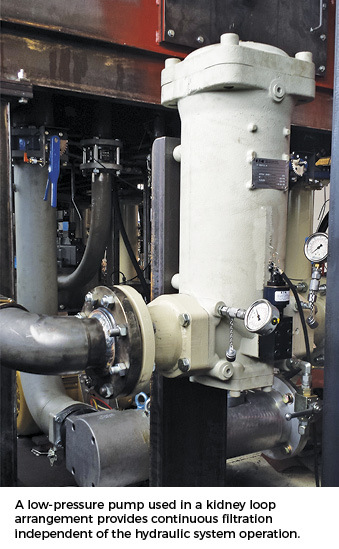 If that checklist sounds a lot like your filtration protocol, chances are your hydraulic systems are performing well because you have the basics covered. But in today’s competitive environment, covering the basics is only the beginning. There is a lot more to be considered and implemented if you’re going to maximize the return on your hydraulic investment. So let’s go through that list again and move beyond the basics. If your operating pressures are going up, so should your cleanliness levels. Where 19/17/15 may have been acceptable a few years ago, many of today’s higher-performance systems need 15/13/10 or even better cleanliness levels. Maintaining those levels will probably require more than periodic laboratory analysis of your fluids. One solution is to use a commercially available “laboratory in a suitcase” and do your own testing in-plant. Eaton, and other filter manufacturers, offer highly capable units that will allow you to rest on an accelerated schedule without incurring the costs associated with an outside laboratory. A more advanced solution is to install an Inline Particle Counter (IPC) to provide real-time monitoring. These devices use a variety of technologies to monitor the fluid condition and generate an alarm when anomalies are detected. Inline Viscosity Sensors (IVS) and Inline Water Sensors (IWS) are also available. A comprehensive monitoring solution will include all three types. Even more sophisticated units use a sensor that measures changes in the dielectric characteristics of the fluid. Those changes may be caused by particle contamination, water, or even depleted additives. These systems continuously monitor fluid condition and alert you to any changes in that condition. It’s a different, but very effective, approach. Being proactive during system design can eliminate many common challenges encountered during system operation. For example, mounting any required suction filters outside the reservoir will greatly simplify maintenance. The truth is that suction strainers and filters mounted inside the reservoir are seldom, if ever, serviced. Utilizing manifolds and tank-top filters is another design element that can reduce maintenance challenges. It also eliminates many separate contaminant ingress points, making the whole system more robust. Specifying filters based on maximum published flow rates is another mistake that can be avoided during the design process. Maximum flow rates are exactly that—the maximum the filter can handle without damage to the element. They are most definitely not the flow rates at which the filter can be expected to deliver maximum cost-effective performance. Other factors, such as viscosity changes and cold-start conditions, also impact filter performance and life. As a rule of thumb, sizing the filter for twice the desired maximum flow rate will optimize both filtration performance and cost-effectiveness over the long run. Another good practice is to specify filters equipped with differential pressure gauges or switches. Comparing the inlet pressure to the outlet pressure gives a very good indication of filter element condition. The switch-type units can be hardwired to an annunciator light or another device to notify maintenance personnel of an approaching end-of-life condition before the filter goes into bypass mode. Breathers already have been mentioned, but they are worth a second look. A typical low-cost breather uses a non-replaceable, 10-micron paper element, which means there will be a lot of 10-micron particles allowed into the reservoir. Experience says that if one 10-micron particle goes into the pump, two will come out. Yes, the return line filter will capture them both, but the damage has been done at that point, and the pump’s useful life has been shortened. Spending a few dollars for an effective breather, and then maintaining it like every other filter in the system, will prevent the damage in the first place. As mentioned above, the best location for filters is generally on the return side of the system. In most cases, a finer filter can be installed there than is possible on the supply side because any flow restriction is less likely to impact pumps, motors, and valves. For many systems, an even more cost-effective approach is to take the bulk of the filtration out of the active loop entirely by using off-line filtration in a so-called kidney loop. That is a stationary system that continuously filters the fluid in the reservoir. A kidney loop does not need to operate at high pressure and can, therefore, use less expensive filters. A kidney loop can be shut down for filter maintenance with no impact on system operation. A kidney loop usually can achieve efficient laminar flow to maximize filter performance and deliver dollar/grams of dirt-holding capacity than a filter rated for pressure/return service. A kidney loop can easily incorporate a low-cost, low-pressure cooler to moderate fluid temperature. A kidney loop does not require exceptionally fine filtration since it continuously cleans the fluid. Typical systems use a 25-micron element on the pressure side and a 10-micron element on the return while maintaining specified fluid cleanliness levels. Dirt destroys more hydraulic systems than any other cause. Effective filtration is your first line of defense. 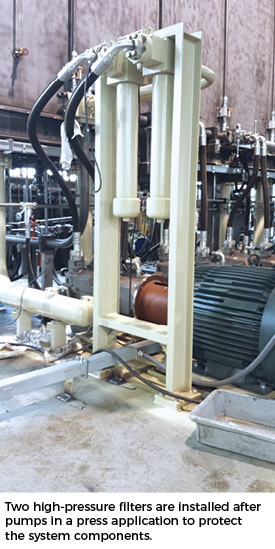 Moving beyond the basics will pay dividends in terms of optimized system performance, minimized operating cost, and eliminated maintenance headaches. It’s definitely worth the effort.